A diverse musician, Catherine Lee has performed extensively on the oboe and the English horn as a solo, chamber and orchestral musician. She has performed with many orchestra’s including Oregon Symphony, Les Grands Ballets Canadiens, l’orchestre symphonique de longueuil. Catherine has collaborated with POV Dance to compose and perform the music for the production “Wet?” (Ten Tiny Dances Waterfront Project, 2008) and with composer Emily Doolittle, dancer Camille Renarhd and the Umbrella Ensemble in the creation of reeds a site specific work based in birdsong. (Sound Symposium, 2010). Recently, she has made excursions into the world of indie rock, collaborating with the band Alameda in Portland, OR. Catherine’s doctoral research in how virtuoso performers in the late eighteenth century used the solo concerto to demonstrate their specific skills and create a resonance with audiences, has lead to a curiosity with the role of improvisation in the development of creativity and voice of a performer. She has presented lecture-recitals at The Embodiment of Authority – Perspectives on Performances (Helsinki, Finland), The Performer’s Voice (Singapore), Guelph Jazz Festival Colloquium – Improvising Bodies, (Guelph, Canada) and College Music Society (Seattle, WA). Catherine’s doctoral document “The Language of the Oboe Virtuoso in the Late Eighteenth Century” has been published in the IDRS Journal, Double Reed and the ADRS Journal Reeding Matter. Her poetry will be included in a chaper she is co-authoring in the forth-coming book Sounding the body: Improvisation, representation and subjectivity (eds. Ellen Waterman & Gillian Siddall). Catherine became interested in the study of somatics and the applications for performing artists during her graduate studies at Indiana University, she pursued this interest during her doctoral work at McGill University. In this vein she trained as an Andover Educator, is certified to teach “What Every Musician needs to know about the Body”. Catherine has presented sessions on Bodymapping at the University of Washington (Pullman, WA), Portland State University and at the Bi-enniel International Conference of the Andover Educators (Montclair, NJ). 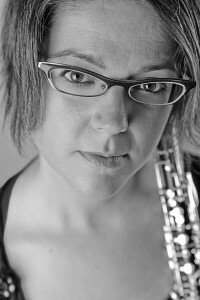 Catherine is a founding member of the Umbrella Ensemble, she holds a Doctor of Music in Oboe Performance and a Bachelor of Music from McGill University (Montreal, Quebec), and a Master of Music and a Performer Diploma from Indiana University (Bloomington, Indiana). Her principal influences include Thoedore Baskin, Normand Forget and Bruce Haynes.